Microsoft is offering up Windows 8 Pro in five differently themed packages (click through the gallery to see them all). You can pre-order your DVD copy online for $69.99, though if you buy a Windows 8 machine, you can upgrade to the Pro version, via download, for just $39.99. 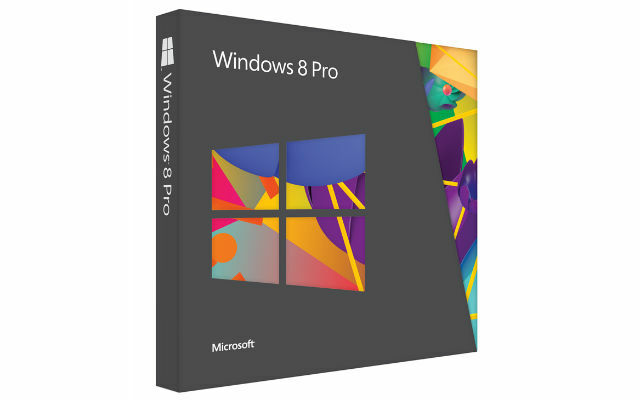 Windows 8 is just a couple of weeks away from arriving on store shelves, but if you want to be first in line, you can pre-order a copy of Windows 8 Pro now. The various Windows 8 machines that have been unveiled over the last few weeks are up for sale, too. Windows 8 Pro, of course, is the "advanced" version of Windows 8, which includes device encryption and the ability to boot from a virtual hard drive, among other features (here's a full breakdown of Windows 8's suite of products). Microsoft officially opened the doors on pre-orders via this blog post, and pre-ordering gets you an actual, physical DVD copy mailed to you, not just a download. It costs $69.99.